The company majorly deals with the selling of books and the consumer electronics. From there, Kobo has now grown to be a very popular e-reading publisher and has brought forward several services and products into the market. Though a bit on the higher end, these devices are worth their cost. 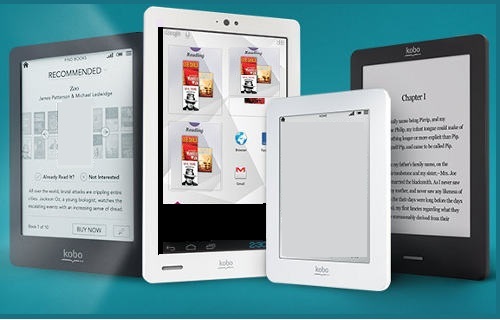 Tablets: Kobo introduced the Android tablets from the Kobo Arc family in the year 2012. This was later refreshed in 2013. Preceding this, the ‘Kobo Vox 7 inch Android tablet’ was released in 2011. These Android tablets from Kobo were designed specially to provide support for the e-books and other applications that the company brings out in the market. E-book readers: Kobo has a wide range of e-book readers, which come with an e-paper screen. The range is both on the higher end as well as, the lower end on the price and features side. The line-up on the cheaper side of the e-book readers includes Kobo Touch, Kobo Mini, and Kobo Glo which come with an illuminated screen. On the expensive end, there are the high-resolution Kobo Aura HD and Kobo Aura H2O that come under the Kobo Aura family of e-book readers. 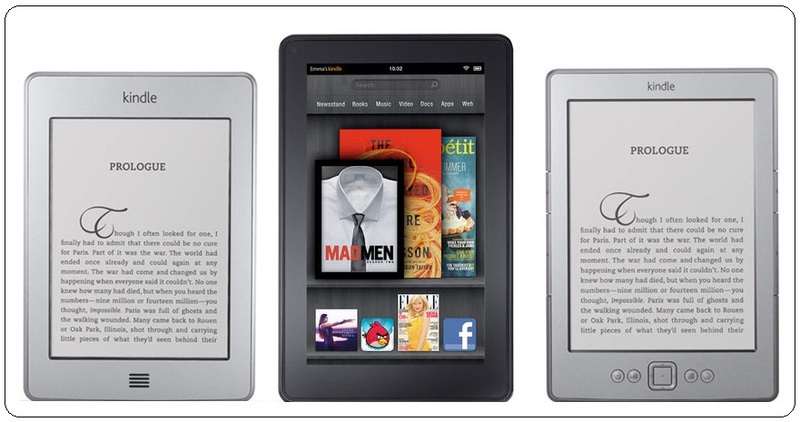 These e-book readers are currently the major competition for Amazon Kindle out in the publishing market. The Kobo e-readers use Wi-Fi to sync the book collection and bookmarks of the user with the Kobo’s cloud services. A user can access this cloud service from the application for Microsoft and OS X computers. A user may also do this from within smartphones that support Android, iOS, Blackberry, and Windows. Applications: Free reading applications of Kobo can be used for OS X and Microsoft Windows computers. Within smartphones of Android, Blackberry, Windows, and iOS, Kobo apps are available. Kobo also got the Top Developer badge from the Google Play Store in 2015. Publishing and store: The bookstore from Kobo was launched in 2010 and is now available in about 16 countries. Kobo sells around 4 million titles, in epub format. In 2012, Kobo introduced the self-publishing platform called the “Kobo Writing Life.” Authors can access the deep analytics feature where they can keep track of their book’s sales and at the same time create a market for their book at the global level. Kindle refers to the series of e-book readers that Amazon brought out. One can browse, download and buy and read e-books, magazines, newspapers and other forms of digital media on Kindle. The developers of the e-book reader wanted to give a name for their product that means to create a spark in the mind of the people.Kindle, hence, becomes the right metaphor, and thus the name was born. Kindle is Amazon’s very own brainchild. This e-book reader, which Amazon brought out to the world in the year 2007, was first slowly sold in the US. In the later stages, when the Kindle Second Generation came out, it was made available to almost all the countries outside the USA. A user can access Kindle software on several latest Operating systems like iOS, Blackberry, Android, WebOS, Microsoft Windows and the Windows devices. First Generation: Kindle 2007, had a speaker and headphone jack along with an expandable SD card slot. This was the first original model of Kindle. Second Generation: Kindle 2, Kindle 2 International and Kindle DX in 2009. Kindle DX International and Kindle DX (2nd Generation) in 2010. Third Generation: Kindle Keyboard, in 2010 and has two versions, Kindle 3G and Kindle Wi-Fi. Fourth Generation: Kindle 4 and Kindle Touch in 2011. Fifth Generation: Kindle 5 and Kindle Paperwhite (1st generation) in 2012. Sixth Generation: Kindle Paperwhite (2nd Generation) in 2013. Seventh Generation: Kindle 7 and Kindle Voyage in 2014. Kindle Paperwhite (3rd Generation) in 2015. Eighth Generation: Kindle Oasis and Kindle 8 in 2016. LCD versions: Kindle Fire, Kindle Fire HD, and Kindle Fire HDX. Each new model of Kindle comes up with new features, and the popularity of these products never seems to go low. Fourth, Fifth and Sixth Generation: AZW, AZW3, TXT, PDF, PRC and unprotected MOBI. PNG, JPEG, GIF, HTML, DOC, DOCX and BMP by conversion. With the huge popularity enjoyed by both the e-book readers, there is a constant conflict in the minds of the reader, Kobo or Kindle? 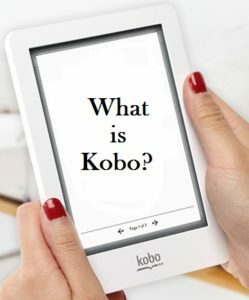 When users have the choice between either Kobo or Kindle, most of them choose Kobo over Kindle because of various parameters on which it performs better. Title Availability: Due to Amazon’s closed end design, many publishers are choosing not to make available their digital formats of books available upon Kindle Book Store. Whereas, Kobo does not have any such rules with publishers. Thus, Kobo has titles from most of the publishers in its e-book store. But there are still some titles that are available only with one of the either. E-Book Formats Available: – A reader gets the opportunity to use a wide range of file formats on Kobo including the most popular ePub format. Such readers can upload the books from computers or other devices onto their Kobo device and read it as they wish. But on Kindle, readers can only use Mobi files. However, they can use other formats only after converting them to Kindle’s native Mobi Format. This takes away users opportunity to read all of their favorite titles on the Kindle device. On the other side, Kobo enables the users to read e-books in multiple formats quickly. Digital Rights Management (DRM)- is another important issue in this comparison. Amazon’s DRM is more strict and restrictive as compared to Kobo. Screen size and lighting: – along with the pixel rules of Kobo seems to outweigh Kindle more. Kobo devices have a better display quality that enables the reader to read for a long time without straining their eyes. Kobo has a separate switch for adjusting backlight which a user can do with a simple swipe up. Whereas, in Kindle users need to access a separate menu for this. Storage: – Kindle’s limited storage stops the users. They don’t have any option to expand the memory using an SD card. However, Kobo supports external SD cards, which allow the users to expand the storage capacity and store more e-books. Design Aspects: – The port for charging and USB is present on the top side in Kobo, like in most smartphones and tablets. This proves to be helpful when a flip case is used for covering the device. This seems to be a flaw for Kindle as the ports are located below on the rim and are quite inconvenient to access. Also, Kobo’s screen is flush with the bezel as compared to Kindle’s trimmed screen. This makes it easier for the reader to hold the device and turn a page on Kobo. Unique Features: – Pocket Integration is another unique feature that is present in Kobo. The user can store the articles and books that they wish to read later. A user can easily download later on wherever the user wants. Kobo’s user interface, Homepage design, and Library layout are well lapped up by readers as it is more customization and friendly as compared to Kindle. Publishers also have an important role to play in the world of e-books. After all, they are the one’s who have to take many important decisions related to the release of the books. 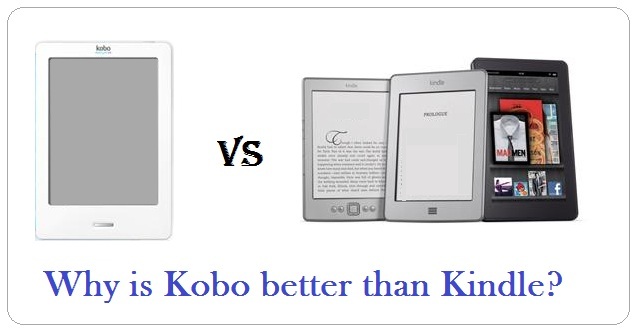 Which one is better, Kobo or Kindle, it is a question that has been an issue all over. Publishers mainly look to the display and the typographical options that come with the e-book readers to choose the better option among Kobo or Kindle. Type Engine: – The type engine of Kobo comes with a lot more than just few type fonts, unlike Kindle. The reader can easily customize the fonts according to their wish when they are using Kobo. If you feel that you need to make few changes with the length and the margins of the written text, Kobo offers a control feature. A user can use this to make the changes as per his wish. Whereas Kindle doesn’t cover these issues? Even when a person wants to justify the written text, sentence mistakes crop up in Kindle. This is usually not found with Kobo. Formats Supported: – Publishers find it easy to load their books onto Kobo store, unlike Kindle. The need for conversion of files to the existing Mobi format in Amazon Kindle makes life difficult. This stops a majority of publishers from getting their books onto this e-book reader. Business Practices: – Kindle has always been controlling publishers by delaying order and refusing to pre-book for various titles. The idea behind this move is perhaps, Amazon’s greed for more profits. However, publishers do not face any such issue with Kobo. Where is the competition leading to Between Kobo Vs Kindle? Kobo and Kindle are fighting it out to find out who among them is going to be the future of ebook readers. We have to see which device between Kindle and Kobo wins the global market and emerges a winner. Both e-book readers come out with new features every year, and one can see that the competition between the two is heating up gradually. Kobo wins over Kindle when you consider features and specs. However, when price and simplicity of design are considered, Kindle wins hands down. Kindle’s very own Kindle Paperwhite (1st, 2nd, and 3rd Generations) seems to be the most economical e-book reader that a consumer can get in the market. The competition between the two is still not over. Users can expect a lot from both the e-book readers. One cannot take the latest model from Kindle e-Book reader, lightly. It has come out as a serious competitor to the Kobo e-book readers on the market. Techies and avid followers of the Kobo or Kindle e-book reader clash are still awaiting a winner. Compared to the other e-book readers in the market, Kindle seems to be the strongest competitor to Kobo after Nook from Barnes and Noble. The competition between the two giants has reached a global level. Both these firms are vying for customer attention by coming out with superior devices with latest features. No matter who wins this clash, Kobo or Kindle, customers are going to be the ultimate winners with great products in reach. But the current market trends state that Kobo has a far better reach and user response as compared to Kindle. Everything said and done; it is now time to wait and see which e-book reader, between Kobo or Kindle, emerges as the eventual victor in this clash of eReaders.